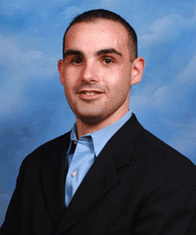 Jon Ginsberg started working at the Ginsberg Agency upon graduation from college in 2004, eventually becoming an expert in business insurance and well versed in all phases of insurance activities. He took over ownership of the Ginsberg Agency in 2013. Jon is an active member of several fraternal organizations, clubs, and chamber of commerce. Jon is a third degree black belt in Shotakan Karate, a pursuit he began at the age of 6. He enjoys all sports and supports his local teams. The Nationwide Insurance: Ginsberg Agency LLC in Oceanside, NY provides the following products. To learn more about each insurance product, click on the links below. Look to the insurance provider who is there when you need them when it comes to vehicle insurance services. Ginsberg Agency LLC works with Nationwide to offer members a wide variety of discounts and services. We are also available to answer any questions you may have about auto insurance plans, either over the phone or in person. Just talk Jonathan Ginsberg to find out more. We make sure to thoroughly review your insurance needs before finalizing anything. It is our goal that you walk away with protection that you completely understand and can count on. We also make sure you know exactly which of our many discounts are available to you, such as those for good students or for using our ecofriendly paperless billing plan. These discounts may be applied to our many insurance protection options. We offer solutions like liability coverage and roadside assistance. Because we are located locally in Oceanside, we know what the specific weather and traffic conditions are like. We can walk you through the protection options for your vehicles and those specific to Oceanside. Have peace of mind that comes from a personalized insurance plan. Jonathan Ginsberg is willing to talk to you whenever you have the time. You can call us at (516) 766-4025 or schedule an in-person appointment at 222 Atlantic Ave. Our door is always open and your questions will always be answered. No matter which Charlotte neighborhood you live in, home insurance isn't a luxury. It's an essential measure of financial protection against many different coverable losses. Let the Ginsberg Agency LLC quickly and clearly explain the different types of coverage you need for your property and belongings. We take great pride in finding personalized policy solutions for our Oceanside homeowners. Have a bunch of older belongings that would be difficult to afford to replace? You'll be interested in Nationwide's Brand New Belongings® program. Are there several high-value items in your home? We'll talk about Valuables Plus® coverage. Do you host a lot of parties, or do you have a swimming pool in the backyard? The most important financial protection in your Oceanside homeowner's policy may very well be liability coverage. This catalog of personalized coverage programs is impressive, but it's not the only reason the Ginsberg Agency LLC partners with Nationwide. Give us a call at (516) 766-4025. 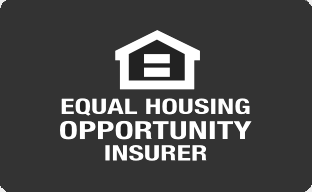 We can talk about available policy discounts, the no-hassle treatment you can expect from the On Your Side® Claims Service, and all the advantages that come with a Nationwide home insurance policy. You can also schedule an appointment with our office. We're located at 222 Atlantic Ave.
At Ginsberg Agency LLC, we want to make customers aware of how easy and affordable life insurance is. We know many people in Oceanside think they cannot afford to have a good policy that protects their financial interests. That is why we work with Nationwide to provide customers with the diverse coverage options they need to sleep peacefully at night. To better understand coverage options, we encourage you to contact Jonathan Ginsberg at (516) 766-4025 to arrange a time to meet in office at 222 Atlantic Ave,Oceanside,NY,11572 to discuss your needs. For additional convenience, our agents are ready to help you go over coverage options over the phone. Beyond general liability and asset protection, let Ginsberg Agency LLC help customize coverage for the industry in which your company operates. Our agents have the expertise and Nationwide product offerings to cover everything from golf courses to medical clinics, from wholesalers and industrial contractors, along with the retail and food service that populate the commercial districts of Oceanside. And this is just the beginning of the versatile and personalized business insurance solutions available from Nationwide and Ginsberg Agency LLC. Learn how to protect your employees with worker's compensation and employee benefits. Learn how to protect the business from damages like fraud, theft and forgery. Ginsberg Agency LLC can also make things a little easier on the company budget and the ownership's precious time. Flexible billing and payment options allow us to further match the policy to the company's priorities. Give Ginsberg Agency LLC a call at (516) 766-4025, and let's talk about how we can better manage your company's risk. We can iron out the details on the phone, or we can set up a time to talk in person. Our office is located at 222 Atlantic Ave. Nationwide offers small business resources to help you strengthen your business, such as financial calculators and information and articles on marketing and cash flow management. Learn more at the Business Solutions Center. The Ginsberg Agency LLC also offers products in NY. Please call for information on products in those states. The Ginsberg Agency has been serving our members since 1975 and has now spanned two generations of management and several generations of members! We are proud to have served the needs of our clients, their children, and grandchildren. With our agency, you will feel right at home. Our top priority is doing what is best for our members. Whether it is buying a new vehicle of filing a claim, our agency will be there every step of the way. Our goal is to become a trusted advisor and to serve our members' needs through customized insurance solutions. We are proud to serve Oceanside and many other metropolitan NY communities. Get a quote on your home, car, life, or business insurance today!